Subscriptions for December’s SourcedBox have now closed, and any subscriptions orders placed this month will be sent their first box in January 2017. Orders for one-off boxes are still open for UK delivery by Christmas. Place your order by December 12th to guarantee yours! 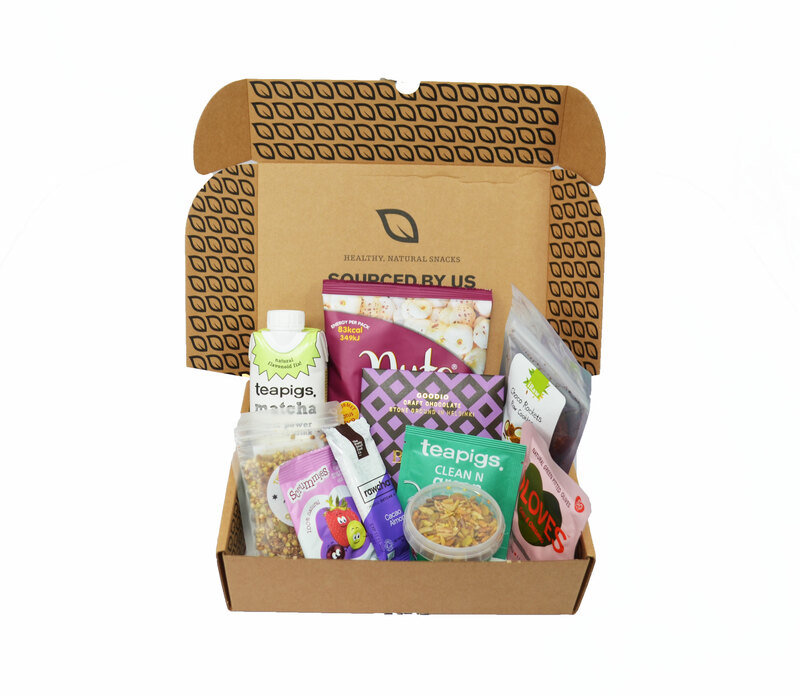 A one-off SourcedBox packed full of healthy, natural snacks. This box is our May box, full of tasty snacks like wild blueberry chocolate, a matcha tea drink and some curry flavoured seeds. One-off boxes are dispatched the Friday after they are ordered.